The reason even ordinary people need a prenup. 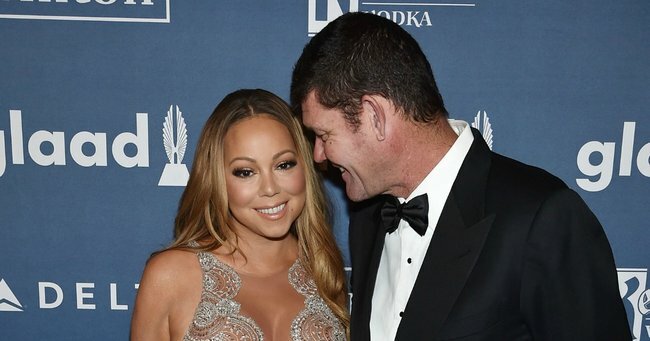 I’ve got to give it to James Packer. He has fantastic taste in women…Jodhi Mears, Erica Baxter, Kate Fisher…all good- looking, intelligent women with their own careers. When they went their separate ways, Kate Fischer was left a Bondi pad and a rumoured $10 million settlement after her five-year relationship and two-year engagement. James paid Erica Baxter (mother of his 3 children) a rumoured $100 million 2013, more than ten times the amount he is believed to have given first wife Jodhi Meares. Watch the official trailer for ‘Mariah’s World’. Post continues below. Nobody could have predicted that he would end up dating Mariah Carey. How do they even know each other? According to the gossip mags, the only hold up to James and Mariah (Jamirah? Maracker?) walking down the aisle is a disagreement about getting a prenup. Allegedly she wants one and he doesn’t which is strange considering Mariah is only worth a paltry $500 million compared to James’s $5 billion. Mariah if you’re reading this, don’t force him to sign a prenup. If he doesn’t want one and everything goes pear-shaped you will never have to sing another high note in your life. In 2010, the median age of a first marriage for men was 29.6 years, and 27.9 years for women according to the Australian Bureau of Statistics, but just four years later in 2014 men were leaving until 31.5 years for males and women were waiting until they were 29.6 years. The later we wait to get married the more wealth we have build up which means we have more to lose whether you are a brickie or a billionaire. Some people think that getting a prenup is preparing for your marriage to fail, which is a strange attitude considering nobody wants to lose their house in a fire or a flood but you don’t think twice before getting house and contents insurance? 1. The agreement complies with the Family Law Act. 2. The agreement is in writing. 3. The parties received independent legal advice before signing the prenup. 4. The legal advice provided must have come from a lawyer in the Australian jurisdiction. 5. Each person must have signed the prenup voluntarily (free from coercion, duress or undue influence). This means one person cannot tell the other that they will not marry them unless they sign a prenup. 6. The prenup should contain a complete disclosure of each person&apos;s financial standing. As long as you do your research and get a professional who specialises in prenups everything should be fine and your assets are safe. These days fighting a prenup is pretty hard and complex but there are conditions that can overturn a prenup, such as having kids, a material change has occurred, or someone has lied about their assets and wealth. You can also put clauses into a prenup that can make it null and void if certain events occurs (e.g. after the birth of a child) or after a certain date or time (e.g. married for more than three years). This is what you call a “sunset” clause. One of the main difficulties arising during relationships is finances. Talking to your partner ahead of time regarding finances and property can avoid a lot of these disagreements. Often once these matters are agreed from the outset they actually reduce the level of conflict in a relationship. Prenups are a safety precaution for your life that becomes even more relevant when you consider that more than one third of marriages in Australia will end in divorce.